Curious on how your achievement can appear on the front page? Simply share your Accomplishment(s) or awesome Boss/Skill pet drop(s) on the forums and at the end of the month we will share a recap of the month's gains. Ready for some grave robbing? East of Mort'ton lies the Barrows, the tombs of ancient warriors. Will you be able to find their hidden wealth? Try your luck this weekend with RuneHQ as we take on the challenge of robbing the graves of the ancient Barrows Brothers and their sister. More information about this event can be found in This topic . Wisps, Demons, and Penguins oh my! This weekend we take on as many of those creatures of RuneScape! Chasing wisps around the grove, taking on powerful demons, and hunting down those sneaky penguins together. But all is not just for fun, everything comes with rewards such as exp, rare drops and even a chance of fancy demon titles! Come join the fun as we run all around Geilinor for some fun times with awesome rewards. 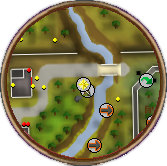 Deep in the heart of Gielinor a second war of the gods rages on. As each faction fights to defeat the other and accomplish the mission they set upon, adventurers have made their way into the battle and began to challenge the generals of the gods in hopes for new weapons and armor. One of these generals is the general of Zaros called Vindicta, an Ilujanka who is seeking revenge on the Twin Furies who had killed her parents. For those that kill her there is a chance to obtain a very rare weapon, the dragon rider lance.